Device can use up to 20 codes, RFID reader inside, 1 RFID Key tag included, could be used within a security widget and rule creator, Z-wave. Mini Keypad RFiD/Z-Wave’s indicator light will react differently on each action. Mini Keypad has indicator light will react differently on each action. 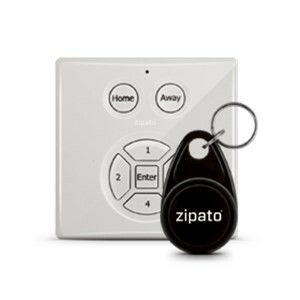 - The Mini Keypad RFiD/Z-Wave can arm/disarm a security system. - The Mini Keypad RFiD/Z-Wave can read Mini Keypad RFiD/Z-Wave-tags. - The Mini Keypad RFiD/Z-Wave has the possibility for user to manually insert codes. - The Mini Keypad RFiD/Z-Wave’s indicator light will react differently on each action. - The Mini Keypad RFiD/Z-Wave’s indicator light will react differently on each action., which can be used as walk-in/walk-out notification (alarm is being disabled/activated).